Remind your friends and loved ones of sitting around the campfire with our Easy S'mores Dip. 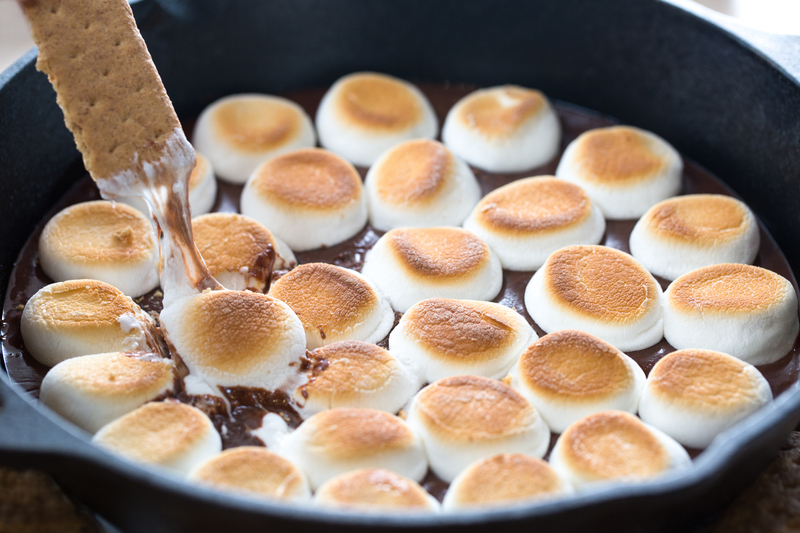 Share warm and gooey deliciousness with this s'mores dip. Microwave milk and chocolate in large microwaveable bowl on HIGH 1 min. ; stir. Microwave additional 30 sec. to 1 min. or until chocolate is completely melted and mixture is well blended when stirred. Reserve 10 marshmallows for later use. Add remaining marshmallows to chocolate mixture. (Do not stir.) Microwave 1 min. Let stand 1 min. ; stir just until marshmallows begin to melt. Spoon into pie plate. Cut reserved marshmallows in half; place, cut sides down, on dip. Broil, 6 inches from heat, 1 min. or until marshmallows are golden brown. Serve with graham crackers or your favorite cookies for dipping. Crumble 1 graham cracker coarsely. Sprinkle over dip before broiling as directed. Cool any remaining dip. Refrigerate up to 3 days. When ready to serve, spoon into microwaveable bowl. Microwave on HIGH 1 min. or just until dip is warmed.